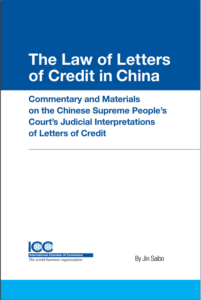 ICC’s publication entitled The Law of Letters of Credit in China: Commentary and Materials on the Chinese Supreme People’s Court’s Judicial Interpretations of Letters of Credit (LC) offers immense help to anyone doing export/import business in China. The publication is based on over 500 court case decisions. The publication, based on over 500 court case decisions, provides detailed commentary, in-depth explanations and critical analyses that help shed light on how Chinese LC disputes are resolved and the judicial interpretations that define China’s LC system. An expert in the field, Mr Jin also has more than 15-years experience in practice and has given more than 100 lectures and trainings in China. The publication is available in English from the ICC Bookstore.